This entry was posted in Hot deals, Zeiss Lens and tagged Zeiss Batis 135mm F2.8 lens, Zeiss Batis 18mm F2.8 lens, Zeiss Batis 25mm F/2 Lens, Zeiss Batis 40mm F2 CF lens, Zeiss Batis 85mm f/1.8 lens, Zeiss Loxia 25mm F2.4 lens, Zeiss Loxia FE 21mm F2.8 lens on January 24, 2019 by admin. This entry was posted in Zeiss Lens and tagged Zeiss lens rumors, Zeiss Loxia 25mm F2.4 lens on May 14, 2018 by admin. 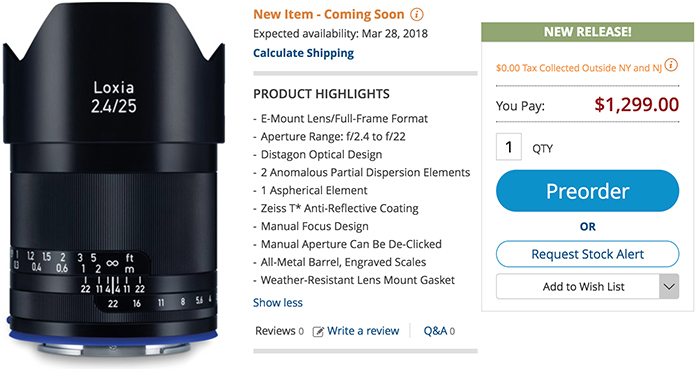 Zeiss Loxia 25mm F2.4 Lens to Start Shipping on March 28! This entry was posted in Zeiss Lens and tagged Zeiss lens rumors, Zeiss Loxia 25mm F2.4 lens on March 12, 2018 by admin. 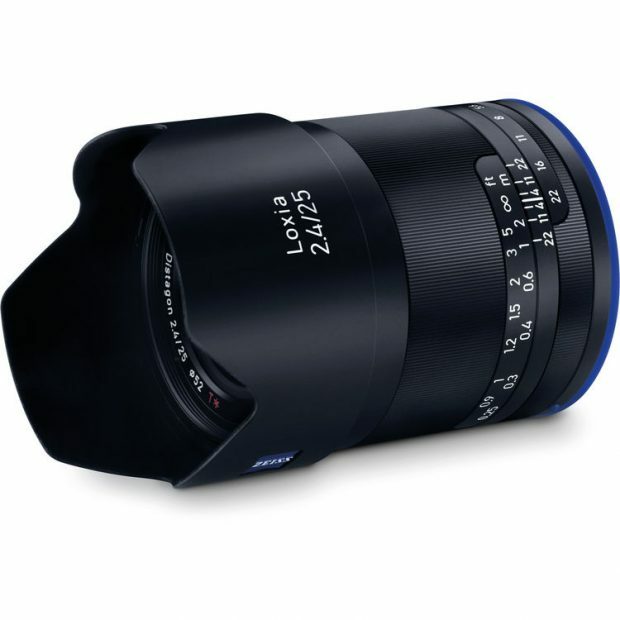 Zeiss Loxia 25mm F2.4 Lens Announced, Priced $1,299, Available for Pre-order ! This entry was posted in Zeiss Lens and tagged Zeiss lens rumors, Zeiss Loxia 25mm F2.4 lens on February 15, 2018 by admin. 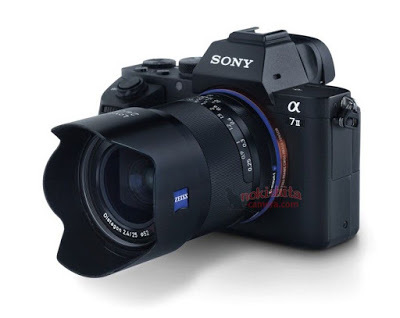 Here are several first images of the upcoming Zeiss Loxia 25mm f/2.4 FE lens, leaked at the Nokishita-camera. This new lens will be announced in next few days. This entry was posted in Zeiss Lens and tagged Zeiss lens rumors, Zeiss Loxia 25mm F2.4 lens on February 8, 2018 by admin.